With its beautiful young cast, the teenage-angst-ridden vampire love story "Twilight" made a killing with its first blockbuster hit. Now the flick's rabid fans are lining up for its long-awaited sequel, "The Twilight Saga: New Moon." Anticipation for "The Twilight Saga: New Moon" has been building for months, and this weekend the Twi-fans proved their devotion means box-office success. "New Moon" broke the opening-day box-office record, taking in $72.7 million on its first day, beating out the record previously held by "The Dark Knight," which brought in $67.2 million in 2008, according to Variety. The film, starring Robert Pattinson, Kristen Stewart and Taylor Lautner, also smashed the record for midnight screenings, taking in $26.3 million on Friday night alone. 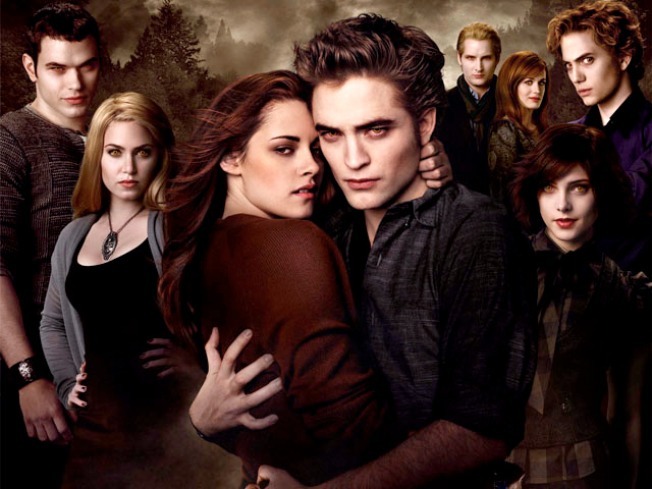 The first film in the series, "Twilight," earned only $36 million when it opened on Nov. 21, 2008, and took in $69.6 million over the opening weekend, according to Variety. "New Moon" is the second film adapted by Summit Entertainment from author Stephenie Meyer's best-selling Twilight book series.